When you’re on vacation, there’s always one meal you look forward to – right? My side of the family goes away late-July/early-August every year, and regardless of whether or not we’re at the beach or the lake my absolute favorite meal is when my brother-in-law makes grilled pizza. Homemade crust and sauce, lots of veggies and fresh mozzarella! …but that crust; it’s what makes the pizza. A little char on the outside, and a thin chewy bite to the inside. Perfection. 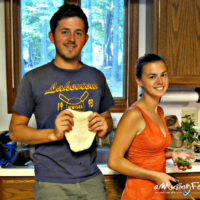 So, I asked Shawn for his New York style pizza dough recipe – and he was kind enough to share it. Lucky you! Just remember, although Shawn doesn’t mention it here, this dough works fabulously on a grill – just crank it up good and hot, rub some oil on the grill grate, then cook the dough for a couple of minutes on each side. 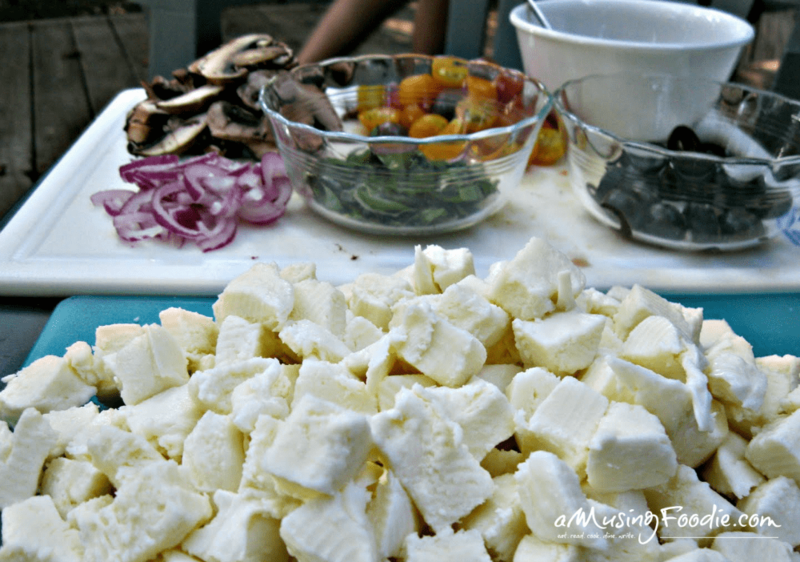 Add your toppings, then back on the grill until the cheese is nice and melted. This New York style grilled pizza is mouth-watering! 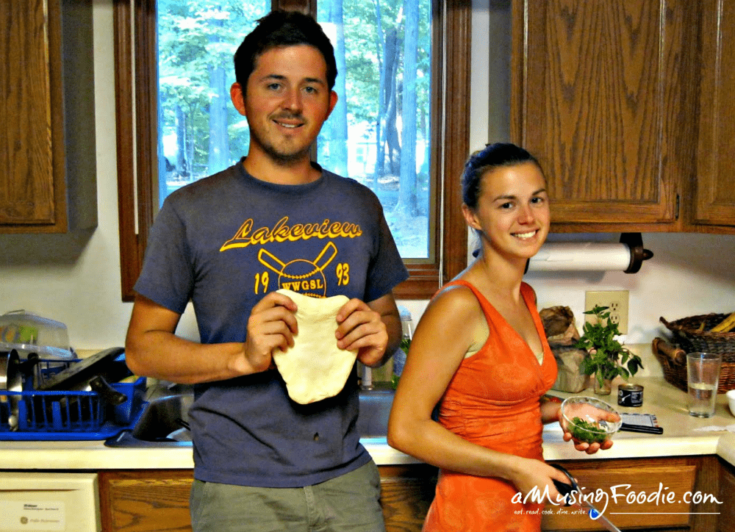 This pizza dough works great on the grill! Combine water, yeast and sugar in a bowl and let sit for five minutes or until the yeast start to bubble. Meanwhile, in a large mixing bowl add the remaining ingredients and then slowly stir in the water/yeast/sugar mixture. Kneed by hand for 6-10 minutes, until dough is smooth. form into a ball, grease will a little bit of olive oil, put in a large mixing bowl, cover with plastic wrap and let it rise for two hours. Once the two hours has finished, punch down your dough and then cut it into three equal size pieces (or two equal size pieces if you want extra-large size pizzas). The next step is, for some reason, very important: you want to proof the dough in a ball shape (as this makes it much easier to shape the pizza later on). In order to do this, take each piece of dough and gently turn it inside out, pushing its outer edges into its center. Do this a few times, pushing the outer edges on the dough inwards to form a concave back. Once you have a nice ball shape, pull the seam together and give it a little twist. Now, with the twisted seam on the bottom, put the dough down somewhere warm to proof for four hours (it should be covered so it doesn't dry out). Alternately, you can wrap it in plastic and let it proof in the refrigerator for 24 hours. The rule seems to be that the longer you let the dough proof in the refrigerator the better it tastes – though I’ve never gone longer then a few days. To shape the pizza, I push the ball down so that it’s flat and then slowly push out from the center. You can also stretch it out by putting it over you knuckles and slowly pulling outward. The trick seems to be to stretch it slowly and evenly and not to force it. I always preheat the stone for at least an hour and usually cook the pie at somewhere between 450-500°F for about 5-9 minutes, rotating it once halfway through. 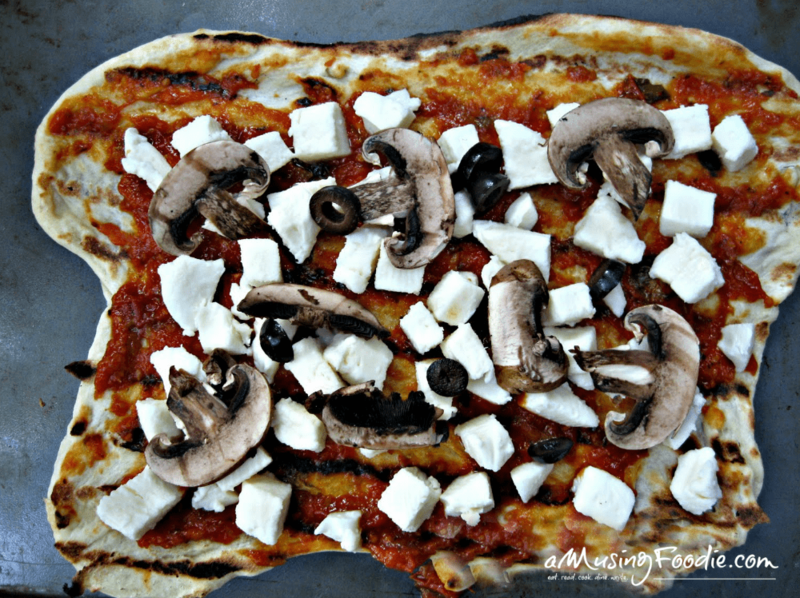 Fresh mozzarella TRULY does make an amazing pizza. 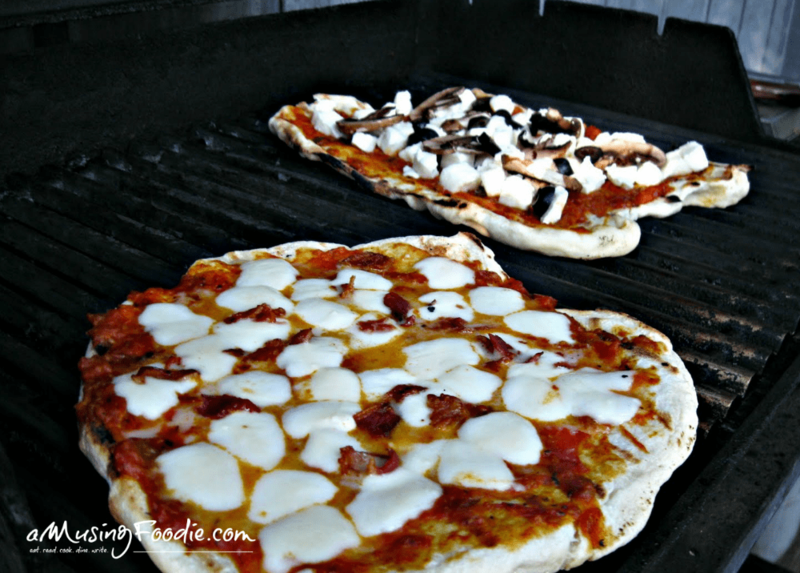 We haven’t grilled pizza yet but soon – I really need to!!! Yum.